Back in college, I made a short film that parodied John Carpenter’s Escape From New York and Escape From L.A. I had no composer to score the film, so I tracked in music from Shirley Walker and John Carpenter’s score to the second film. Little did I know that, 16 years later, I would revisit the material, but in a more in-depth manner. It turns out that there was a lot of music that had gone unreleased from the original film, including material written for the film but unused in the end. (The last third of the film is full of music editing and re-tracking of cues heard elsewhere in the film.) The material came from the DATs in the Paramount archives, and once they were transferred, I cut them up and laid out the album assembly. The artwork was fun to put together, but I was genuinely torn about what to use for the album cover. 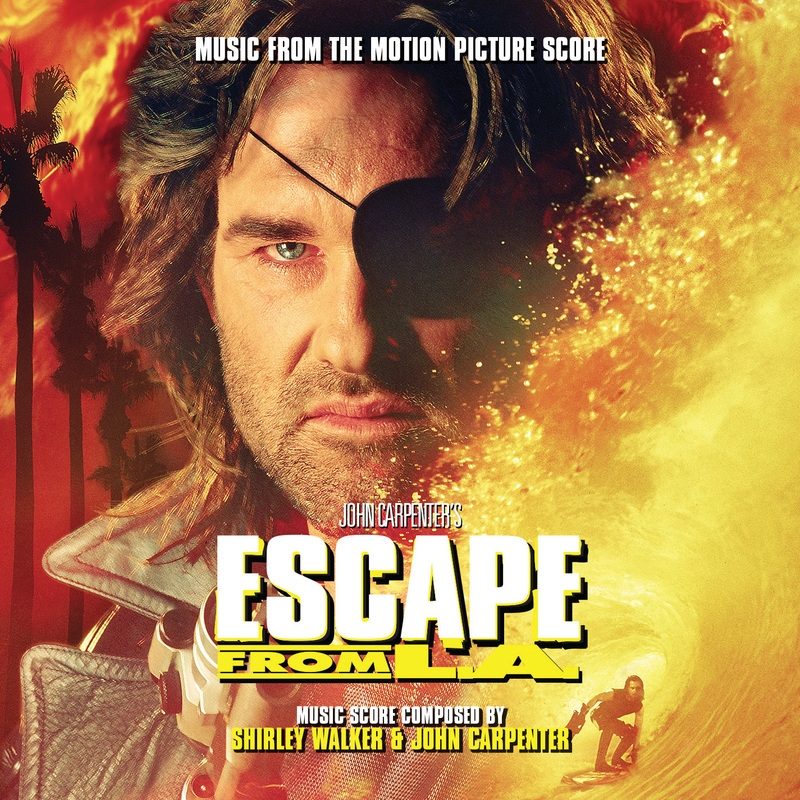 The original score album cover was just a still from the film, and even the song album didn’t use the theatrical key art (it used the teaser poster). Obviously that mean that using the theatrical key art would be preferred, but the Blu-ray imagery was colored differently and would have looked more dynamic as a cover. In the end, though, I went with the original orange/yellow cover. Check out the artwork here!